Dr. Davis is a general family dentist committed to excellence and he maintains the highest standard of personalized care for each of his patients. Our professional staff works to support Dr. Davis by caring for patients with a personal, friendly approach. We recognize that each patient is unique and has different needs, and we are sensitive to those needs. From the moment you arrive, we want you to feel welcome and we will work together to make you feel comfortable and put you immediately at ease. 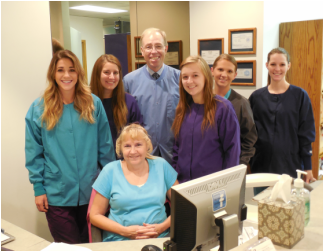 Dr. Davis is a General Family Dentist, providing individualized care for patient of all ages. He is a member of the American Dental Association, and the Utah Dental Association. Our comfortable office is conveniently and centrally located close to freeway access and major thoroughfares. Please check out this page, "Services, Insurance and Payment Options" for more details on those topics. We are ALWAYS accepting new patients, and very much look forward to meeting you!